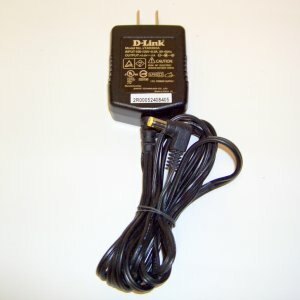 5VDC / 2AMPS D-LINK M1-10S05 SWITCHING WALL TRANSFORMER 5VDC/2 MPS. D-Link model M1-10S05. Input: 100-120VAC. 47/63Hz. UL/CSA, PSE and other foreign approvals. 2-1/2"L x 1-7/8"W x 1"H. Output cord terminated with yellow tipped right angle 2.1/5.0mm barrel jack. Center positive. Made in China. New condition.